This is one of those occasions where — and let me show my cards early here — the rebranding effort is so poor it is hard to know where to begin. For those that may not follow the National Basketball Association (NBA), the Golden State Warriors have been in California, and more specifically in the Bay area, since moving out here in 1962 from Philadelphia. They were first based out of San Francisco and then moved to Oakland after nine seasons, where they have since resided. The current redesign marks the first rebranding effort by the team since 1997. 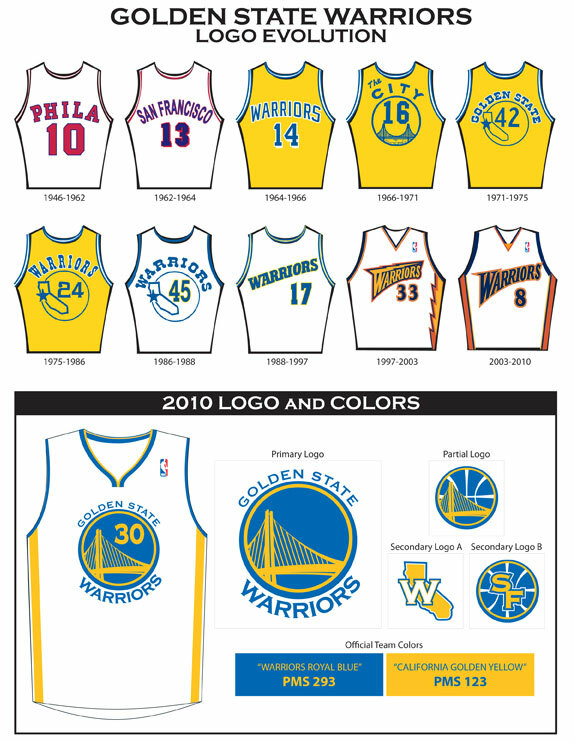 Apparently, the sale of Warriors merchandise as part of the NBA marketing initiative Hardwood Classics was so popular that the Warriors franchise could not overlook the opportunity to try and recreate some of the magic nostalgia that was selling so well. This review is not in defense of the previous logo. The comic blue warrior with lightning-bolt-wielding-typography in hand is hokey at best — a true cacophony of strange gradients and even stranger blue and white highlights. The concept lacked heart and innovation and the rendering is a rather true reflection of that same lack of inspiration. But then again it did look enough like other professional sports teams to fit into the league, whereas this new logo looks like it was made in a rudimentary graphics application on a Franklin by your son’s or daughter’s middle school history teacher for a field trip. The idea to rebrand the Warriors with nostalgic wit is not lost on me — I appreciate the intention to return to a simpler graphic presentation that connects the team with its hometown and history (I’ve always been a fan of the Celtics’ retention of their historic leprechaun). The problem with this primary logo is not its intent to capture the past, it is in how that was conceptualized and then executed. Video unveiling the new logo. To start, the new logo attempts to recreate the classic feeling of the Golden Gate bridge logo from the late 1960s, but rather than choosing that historic and iconic bridge (or the well-known Bay Bridge), they opted to use a yet-to-be-finished Bay Bridge. I can understand not wanting to use the Golden Gate bridge which has a direct association to San Francisco and instead opting for a bridge that more clearly stands for connecting the bay area, but the future Bay Bridge seems oxymoronic here. 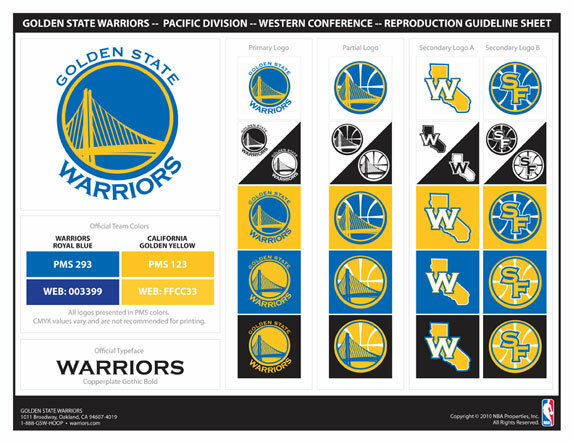 The various new logos of the Warriors. Then there is the execution. Nothing about this execution could be called good or professional. Not the formal properties of the bridge composition, not the poorly conceived and handled illustration, not the off-set containing circle, not the overstated Copperplate Gothic and its thoughtless kerning, not the color use, not its ability to be reproduced — nothing. This juvenile primary logo is compromised even further by the partial logo’s imposition of a basketball in the background. The secondary logos make a slightly better attempt at capturing the atmosphere of the professional league in the 70s and 80s — but they too suffer from being handled by unskilled hands. History of the Warrior’s logo. Thanks to Alan Frantz for first tip.